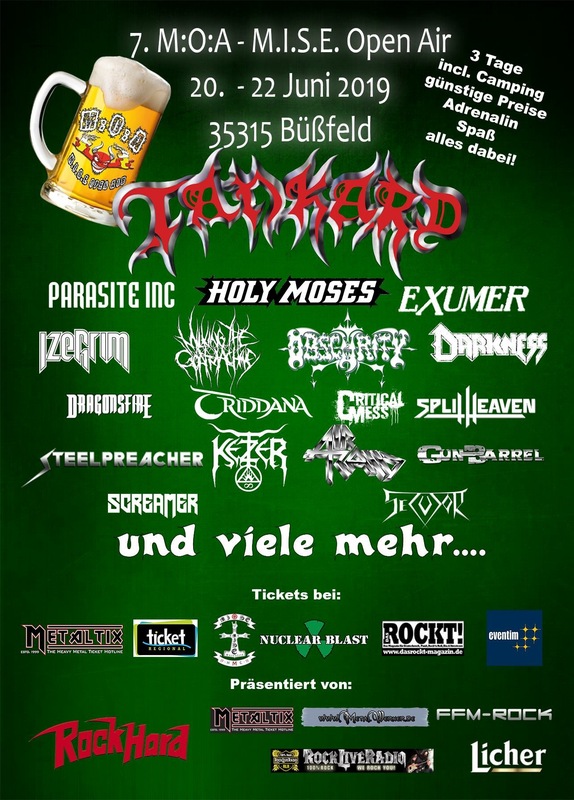 The first time I had an interview with Dying Humanity the epic extreme metal force from Germany about two years ago right after I knew them via one of my support bands. The band released 3 albums already at that point and I had simply wondered why I had not found the great band in their early time. Time passed by, they finally have released the new full-length “DEADENED” and I’m feeling fabulous that I made it for being one of the witnesses of their mighty new assault! So, I asked them about the new album and more. Hi there. It’s been a long time since last time I had an interview with you guys. You guys made through some members withdrawal these past years, right? What happened with the former members? 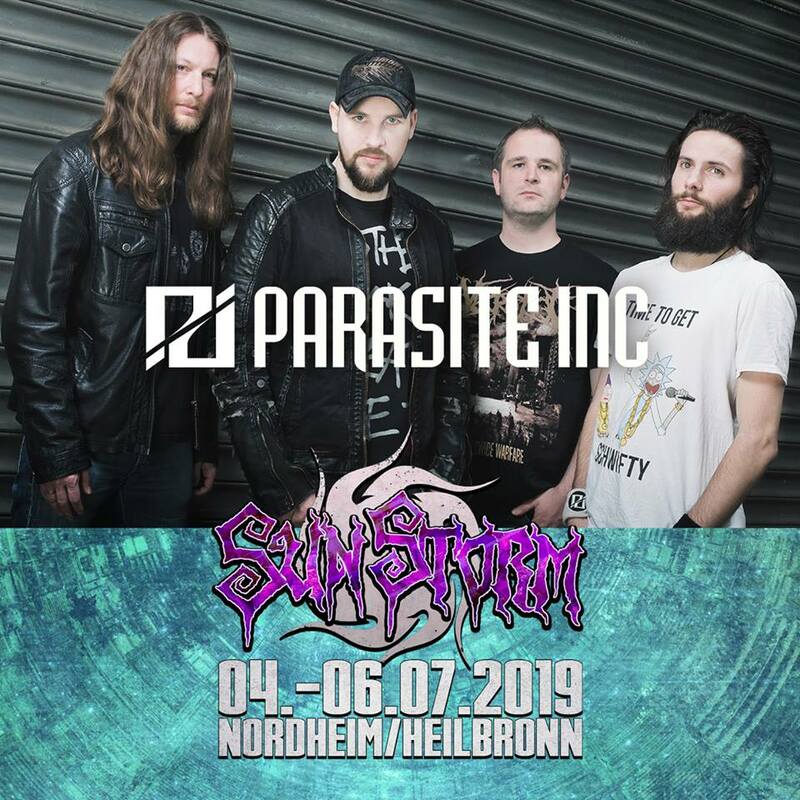 Simeon: That's right, we had changes on the spots of singer and bassist.. Our former vocalist quit due to personal matters, while our former bass player had to stop because of career decisions. It's really hard to reconcile job, family and this time-consuming hobby, but we parted ways without any conflicts and still have a friendly relationship after all the years we played in the band together. Could you introduce us your new band mates? Simeon: Of course: our new vocalist Marcus “Osher” Friedrich applied for the free spot and was decided to be the best replacement. He did many One-Take recordings while in the studio, has killer live vocal performances and participates very actively in the band. The other new band member is Max, who was suggested by me, because we knew each other from former bands and because we come from the same area. He learned the live set in a short time and had no problems with the songs from the beginning, resulting in solid live performances. Its working out very well for us at the moment, because the new members are very motivated and we get along each other excellently. 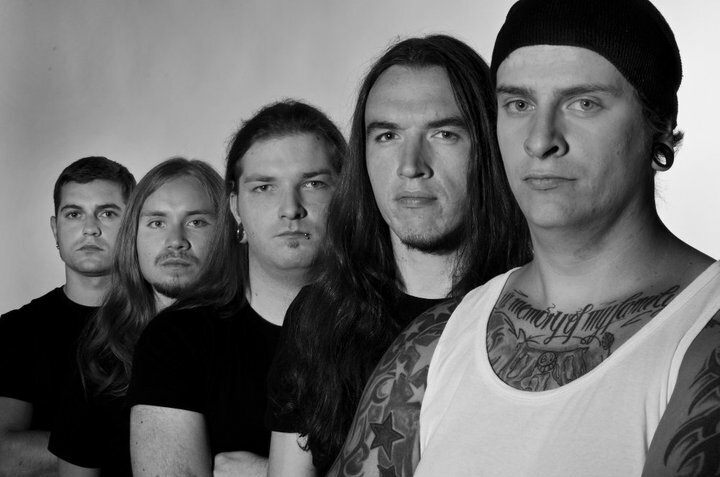 Congratulations for the epic new album “DEADENED”! The title has a big impact. Why did you name it like that? Simeon: Thank you! The title comes from the first song on the album. The main topics on the album are mental disorders and diseases, which in our opinion become larger and larger in today's society. Because of that, we were looking for a powerful word which could describe what we wanted to address. In fact, your previous full-length “Living on the Razor’s Edge” had been released in 2011, and you once had mentioned about the new album in 2013, hadn’t you? Why did it take such a long time until the release? Simeon: Reason for that were the internal band changes. In 2013, we had the song structures and almost all instrumental arrangements ready to be recorded. After the first recording session, our vocalist quit and a short time after that our bassist, too. It took us some time to look for the new members and also become acquainted with them. Our main priority was to be complete as a band, so we could fully focus on the new release. Hopefully, the next album will not take us so much time. I found out that you got some fabulous review for the album by Fredrik Andersson(ex-Amon Amarth), right? That’s awesome! How could it happen with him? Simeon: Yeah, we were really stoked about this as well. 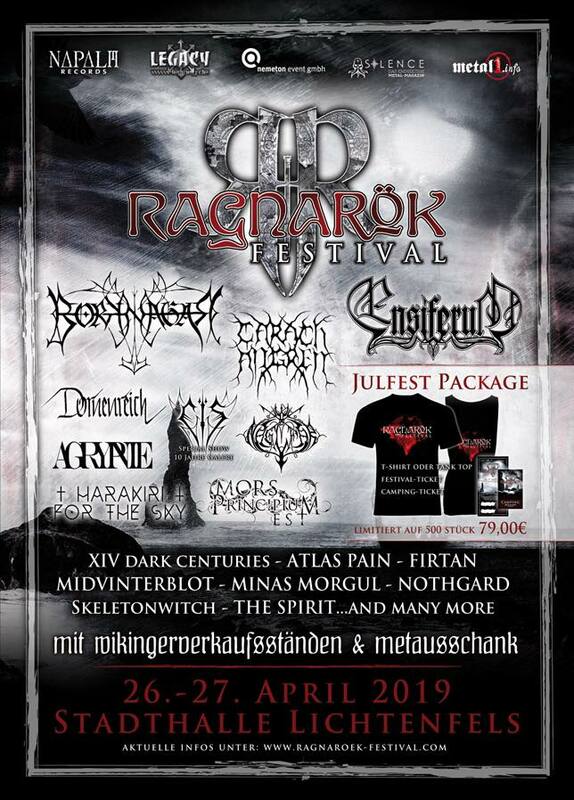 I am a big Amon Amarth fan myself, so it is a big honor for us to receive such positive feedback. We sent him a message and some new songs via Facebook, he liked them and this is how we got a review from him. We still communicate from time to time, he is a very nice and pleasant person. Shoutout to him and his new band THIS ENDING and thanks again for the kind words. Have you gotten many feedback from your fans already? How did they like it? Simeon: The feedback from the fans was very positive. 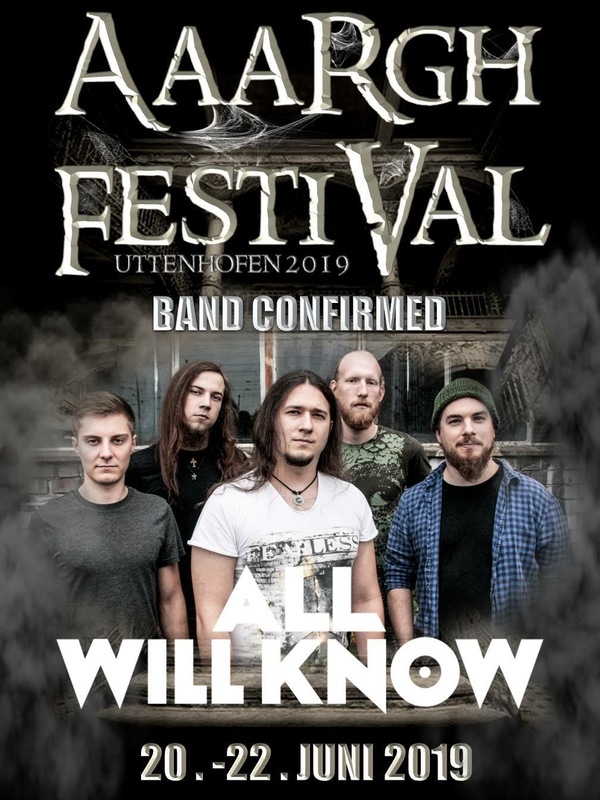 Of course there were some doubts because of our new vocalist, who has a different style compared to our former singer, and experiments like clean vocals, but all in all the new record was well received. For the fans it is always a big change when the vocalists change, but we think Osher did a great job and concluding from the feedback, our old fans are quite pleased with him as well. 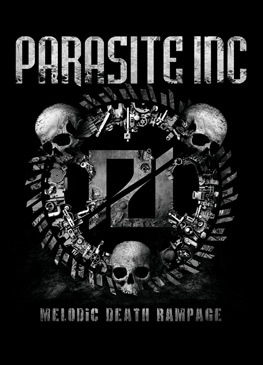 The previous full-length “Living On the Razor’s Edge” is the darkest themed conceptional album which is focused on a story of a person with her cruel destiny. Does “DEADENED” has a specific concept as well? Simeon: DEADENED is not a concept album in the fashion of LIVING ON THE RAZOR'S EDGE. There is no coherent story, but rather a common topic going through the whole record: mental disorders. We wanted to pay attention to a current topic and decided for this. With reference to the lyrics, all the tracks are standing alone, except for two songs. So unlike its predecessor LOTRE, there is no single plot going on. Coming back to the main topic of the record, which is mental diseases, the lyrics of the album are often exaggerated and we used metaphors to describe how a person with such a disorder could be thinking and which thoughts are connected with this. Summing up, DEADENED is not a concept album but an album with a concept. The cover-art for the album looks obviously different from arts of your past albums. The past ones give me an image of “humanity” and the new one just has a sci-fi atmosphere. What does it represent? Simeon: We wanted to visualize the changes we had to go through in the past with doing a cut and try out something new. So we were looking for someone with a different style. The artwork of the album is a visualization of the title song DEADENED, which is about an antiquated view on mental disorders: humans being possessed. You can see a demon/abomination burst out of its human shell like a disease breaking out in the human organism. Who drew the wonderful art? Simeon: Shoutout and credits to Joshua Andrew Belanger, we are really satisfied with the whole artwork and we liked the way he visualized the story. After both of our last two artworks were designed by Gustavo Sazes, we wanted to find a new artist. All of us liked Joshua's style, so he got the job (and he got the job done very well). Who is the main songwriter of the album? Simeon: Most of the songs were composed by Kai, he is kind of our main songwriter of the song structures. I wrote two of the songs and Danny arranged the drum and percussion patterns. All of us (also Osher and Max) were incorporated in the composing of the lyrics and we revisited them quite a lot. So the record is a project everybody was involved in. Holistically, the sound of DEADENED doesn’t have such a dark atmosphere like the previous album. Instead of that, there’s more assaultive mood in it and I like it. Did you try any experimental thing in the album? Simeon: From album to album, we always try to change a few things because we do not want to do the same thing over and over again. The main experiments on DEADENED are the intro with the eastern-sounding mandolin, clean vocals and Osher's vocals in general. We also wanted to do catchy hooks and not only shine with virtuosity. The first unexpected surprise from the album came with the second track “Delusion”. Who is singing the clean part? Simeon: All of the vocals were done and recorded by Osher. Like I already mentioned, he has a varying vocal range. When we were in the studio, we found out that he could also do clean singing quite well, so we incorporated it to the album. It was a whole new experience for us too and we were really stoked to see our fan's reaction. “Oblivion” is such a beautiful instrument tune, isn’t it? What does it serve in the album? Simeon: Thank you. In our previous records, we always had a short instrumental/acoustic part, but we wanted to do a whole song this time. It brings much variation to the album and shows another part of our musicianship. I myself am a big fan of unexpected or varying parts and this is exactly what we were aiming for this song. It is kind of the calm anchor of the record. Which song in the album do you like best? Simeon: Good question, of course I really like all of the songs and am committed to them because of the long time we worked with and on them. DEADENED and I AM KING go nuts live, but BEYOND REDEMPTION is one of my favorites as well. FEED HIM TO THE LIONS is the song which I liked the most from the ones that I composed myself. 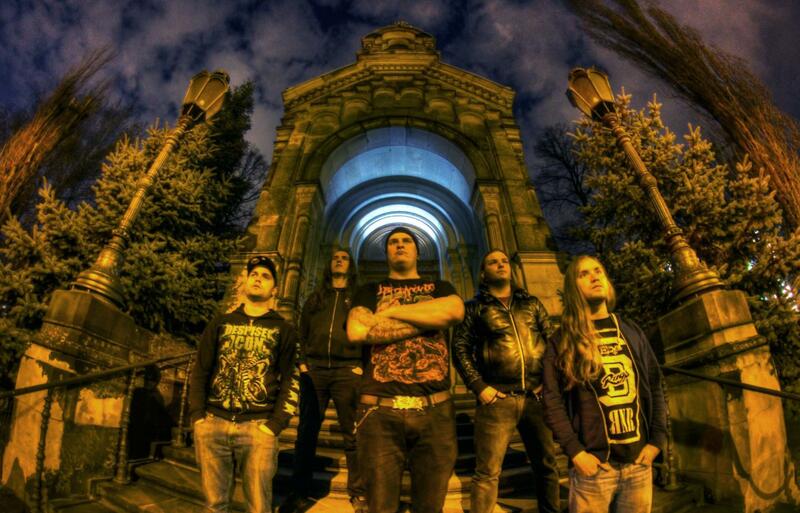 Did you play with Darkest Hour in Dresden a couple of weeks ago, didn’t you? As far as I know in my experience, they are a brilliant live force. How was the show? Did you enjoy yourself to play there? Simeon: Yessir! 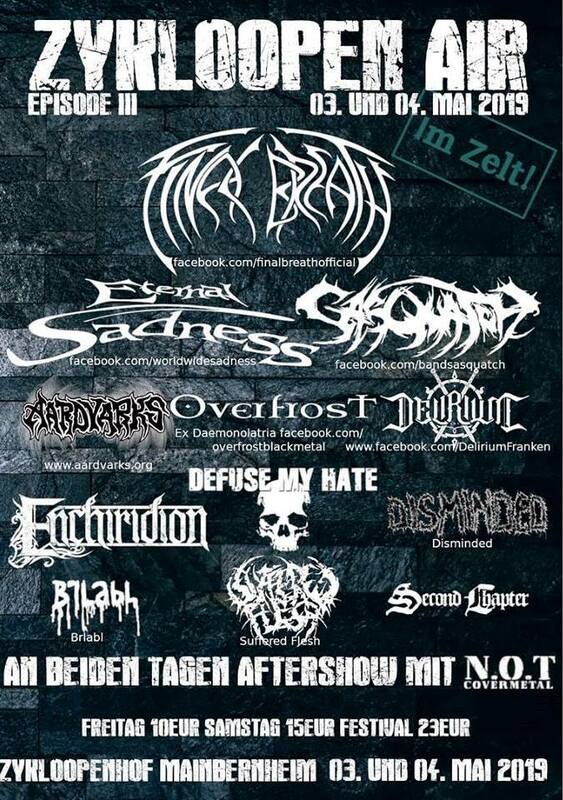 It was a fantastic show and a big honor for us to play in front and with Darkest Hour. They are an amazing live band, all of us watched and enjoyed their show after our set. Their style is much more groovy and catchy and the audience was going crazy when they were playing. It’s just in the middle of the festival season right now. Did you already play at any festival with the new album? Simeon: We played two smaller festivals and presented the album and new songs there for the first time. 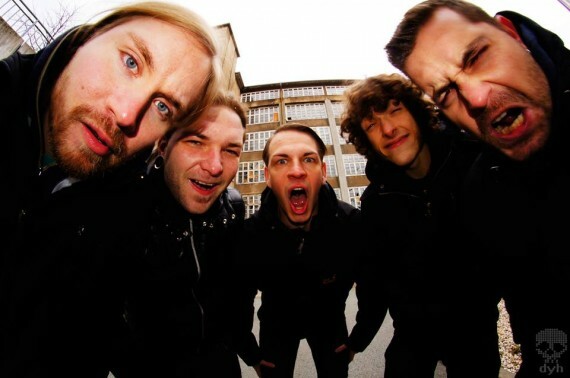 The first one was the “Drop the Bomb”-Festival in Berlin, the second one “Rock auf dem Berg” in Pobershau. Adding the Darkest Hour-gig, we had three shows with the new material; but we really hope to play some more festivals next year. As an independent band, what is the contributing factor keeping you motivated for being an active band? Simeon: This may sound like a standard or cliche answer, but I guess its the passion we all have for this kind of music. We all love playing our instruments, writing new song material, record it and play live shows. Although there is a lot of work, time and money we have to spend, it is still amazing and we are proud of ourselves. A huge motivation are the fans, as well. The feedback we get for our songs and live shows, but also on Facebook or Social Media in general, is what keeps us moving forward. One of the best things is to see people coming to our shows again and again, make them feel happy with some new merch or new songs. These guys are the ones we do this for! 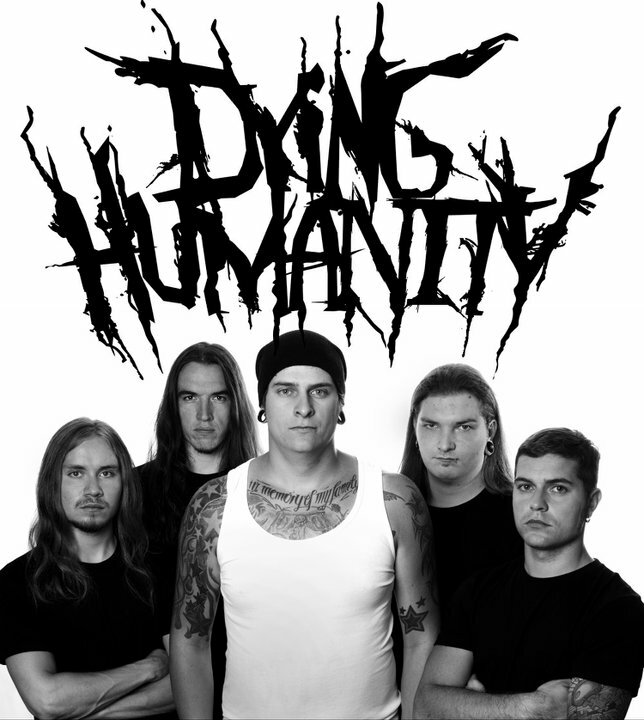 Well, next year (2016) will be a special year for you guys with 10 years anniversary as Dying Humanity, right? Do you have any plan to celebrate it so far? Simeon: Damn right, you are very well informed ;) We were talking about this topic from time to time. We will not be able to record a whole new album, but maybe we can do a special anniversary-show, -shirts or something like that. One time we had the crazy idea of going on vacation together...We will come up with something for sure. Thank you so much for your time and effort for this interview! This is the first interview with you guys. So, could you tell me the history of the band from the beginning? We started 2006 with our project called „Dying Humanity“. The same year we recorded our first demo tape which took us to our first label deal. In 2007 we published our debut album with Restrain Records. This was our first success as a young band. In the following we had many shows in Germany and neighbor countries. Our second album was published in 2009 by Maintain Records. We toured around Germany and Austria playing after its release. Our third album “Living on the Razor’s Edge” was published in 2011 by our current label Bastardized Recordings. Lately we are working on our fourth album. 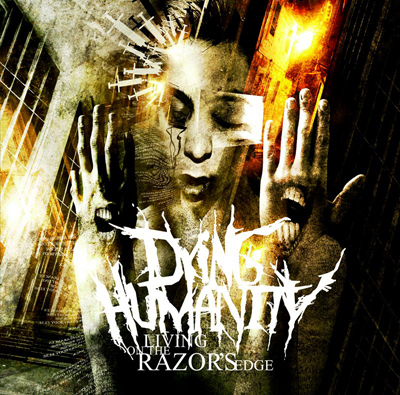 I was wondering why I hadn’t known Dying Humanity until the amazing latest album Living on the Razor’s Edge. You made the album as a conceptional story dealing with the foolishness of human beings, didn’t you? Could you describe the summary of the concept? As you can tell from our band name the lyrics deal with the dying of humanity as well as stories about broken existences and mentally ill persons. During the preparations of our current album we wanted to try something new, opposite to the other ones. We decided to create a concept album telling a story from the first to the last song. Every song is supposed to be a chapter of history matching to the music themes. Who managed the album art work? What is the cover art represented? Gustavo Sazes did the art work. He is a great artist from Brazil and we really like his style. He also worked for bands such as Arch Enemy, Morbid Angel and Legion of the Damned. The Cover shows the protagonist of our Story from “Living on the Razor´s Edge”. Could you explain each of the songs in the album about the both of musical and lyrical aspects? Basically it is about a girl growing up with her caring parents. After her mom died her world breaks down and she tries to escape reality by doing drugs. Her boyfriend, who she got to know within the drug scene, makes her a baby. Her dad finds out and she loses his support and acknowledgement as a family member. Being on drugs her boyfriend abused her after giving birth to the child and leaves. The protagonist recovers and finds her baby dead in the dirty apartment because her so called boyfriend left the child behind. Motivated by hatred and despair she decides to find the father of her baby and kills him. When realizing that everything she ever had and loved in her life is gone she commits suicide. The music is adapted to each chapter/song in emotional and storytelling way but you should listen to it by yourself to find out how everything fits. The music video Abused from the album is the very nice one! Why did you choose the song for a music video? We decided to do that song because it reflects the qualities of the whole album very well. On the one hand there is a rather hard Death Metal style and on the other hand there is a calm melodic part. The lyrics present only a small part of the story which could be misunderstood if the other chapters are not known by the listener. Who filmed and edited the video? The video was made and edited by Ambitious.Films. How many gigs did you play for the promotion of the album? 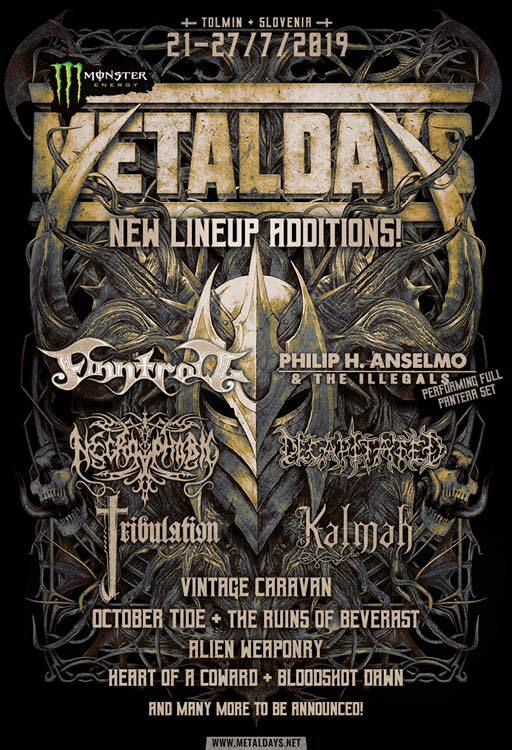 Did you play at any big metal festivals? We always tried to play many good shows no matter if we played for promotion or not. After the release of our third full-length we played a couple of shows at clubs and festivals. We also toured a bit. 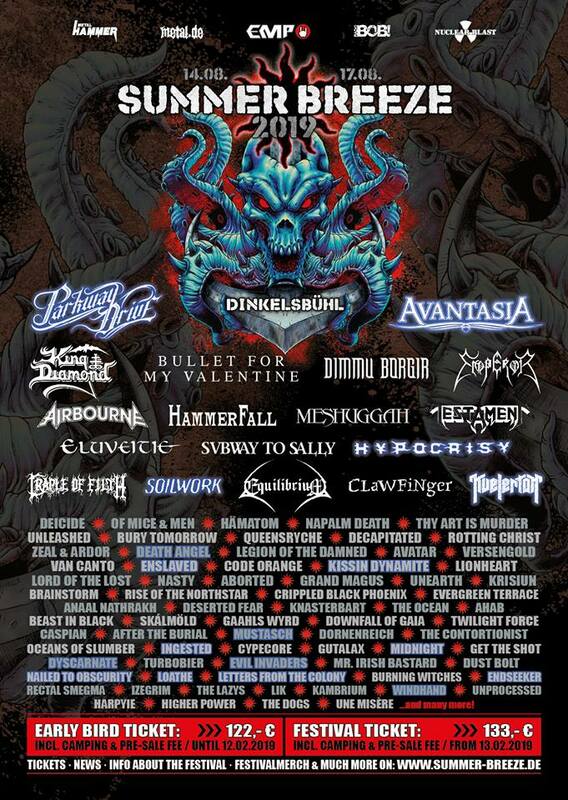 At that time the biggest festival was the “Rock im Betonwerk” festival with bands like Kataklysm, Sabaton, Municipal Waste, The Black Dahlia Murder and many more. Well, you guys are currently working on the new album, right? Is everything going well so far? It is going very well. This September we start to record our new songs. Afterwards our label will promote the CD kind of like they did to our last album. 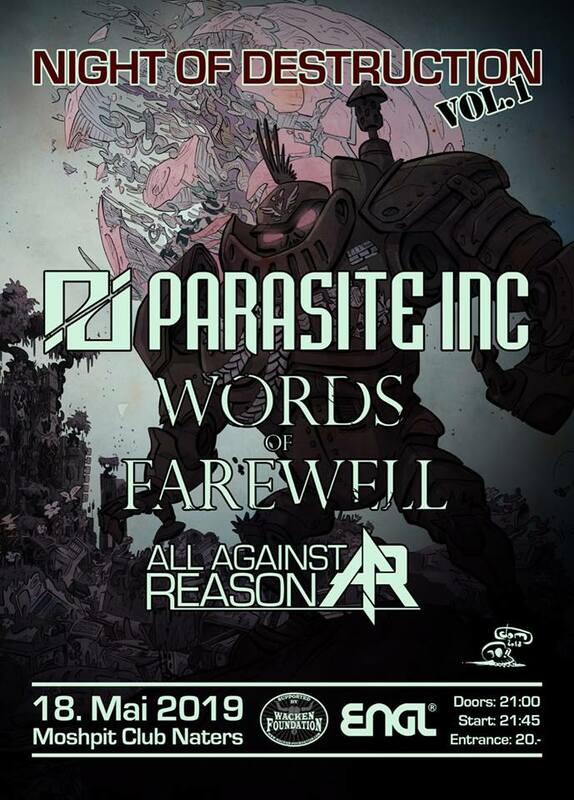 We will also play a couple of shows and go on tour with the new songs. Furthermore there is new merchandise planned as well as a new music video. Do you have anything you can leak about the forthcoming album? 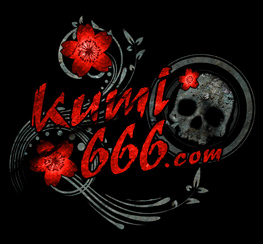 Are you interested in Japan as a market of metal music? You bet! We are looking forward to new fans and support in the entire world. Unfortunately we don’t know much about the Japanese metal scene but we are amazed that people like you show interest in German underground bands and are eager to support us. Could you leave any message to Japanese metalheads? Stay tuned and watch the underground bands establish themselves and support them. Many of those groups invest a lot of money, work and dedication into their music while only getting a little feedback. The results are a much too small audience because they are not able to sell the music properly. You can like us and other bands on pages like Facebook and listen to their music (eventually buy the music). Thank you so much to all the Japanese metal heads out there. Thank you for your support.